The company marketing director contacted commercial car photographer Tim Wallace earlier in 2018 when the company wanted to improve their presence at the London Classic Car Show and were seeking a hard hitting emotional image to use as a centre stage background to their show stand. The company marketing director contacted commercial car photographer Tim Wallace earlier in 2018 when the company wanted to improve their presence at the London Classic Car Show and were seeking a hard hitting emotional image to use as a centre stage background to their show stand. Tim worked closely with them on this and a photograph that Tim shot of a classic Aston Martin DBR2R was chosen for the show. 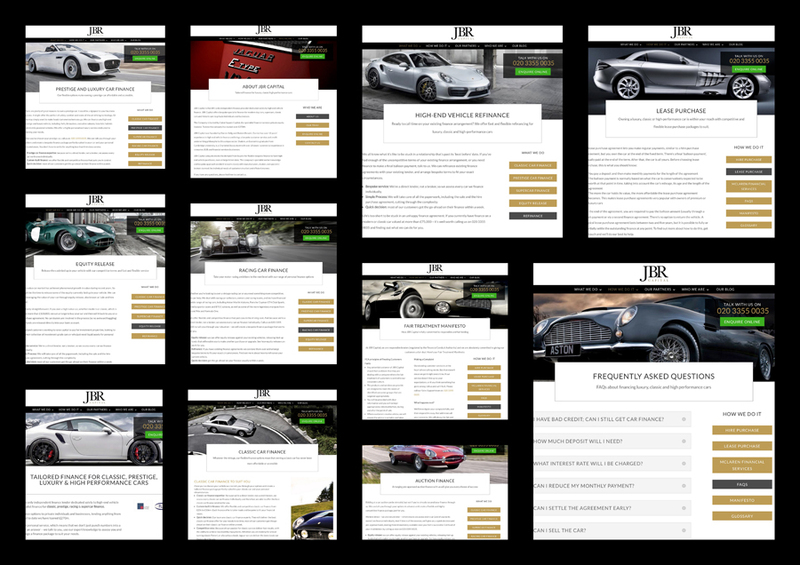 JBR reported such a massively positive response from the show stand imagery that shortly afterwards we were asked by JBR if we would work with them to help update all their website photography with work from ourselves. 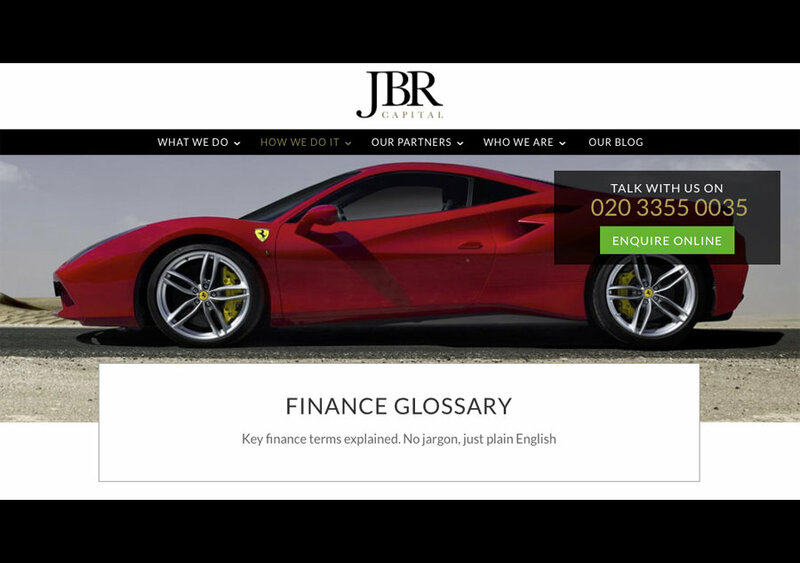 We have worked with them on that and now the new JBR Capital website is live with a hard hitting high quality feel to the images throughout. We look forward to working with the company closely over the coming years to help them promote their services and their brand within their sector. The Company is backed by Cabot Square Capital, the specialist financial services private equity investor. To date the company has loaned over £300M.